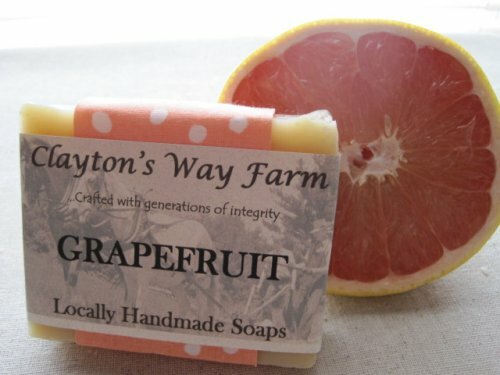 Grapefruit, an elusive yet fresh uplifting scent as are many of the citrus oils; they tend to have anti-viral properties and are considered detoxifying. Grapefruit essential oil is useful as a skin toner, for treating acne and oily skin. Ingredients: Saponified coconut, palm, olive, soybean, grapeseed, and castor oils. Lemon peel, grapefruit and clary sage essential oils.